RECAP: Opening of "Art of Jazz: Form/Performance/Notes" – Featuring the Photographs of Hugh Bell. (left to right) Researcher Mira Schwerda, Exhibition Co-curator David Bindman & Jon Gartenberg from GME in Hugh Bell section of exhibit. A number of the best 20th-century photographers were stimulated by the challenge of capturing the vivid interaction of small groups of jazz players, often in dark and smoky cellars, while others were intensely interested in the individuality of great jazz musicians. 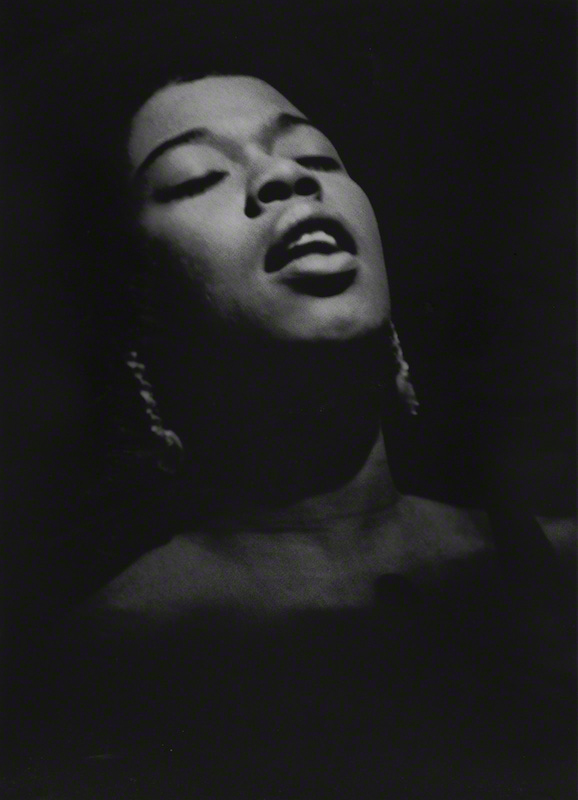 One of the least known examples of the former is the photographer Hugh Bell (1927–2012), represented here by images of some of the greatest jazz players and a heartbreaking series of the great singer Billie Holiday in one of her last appearances. Guests of the public opening looking at photos of jazz musicians by Hugh Bell. Guests of the public opening looking at the series of Billie Holiday photos from one of her last public appearances at Carnegie Hall, 1957. Photographs by Hugh Bell. In 2014, Gartenberg Media Enterprises was engaged on an exclusive basis by the Estate of Hugh Bell to manage the collection of Hugh Bell’s photographs and to further the artist’s legacy. 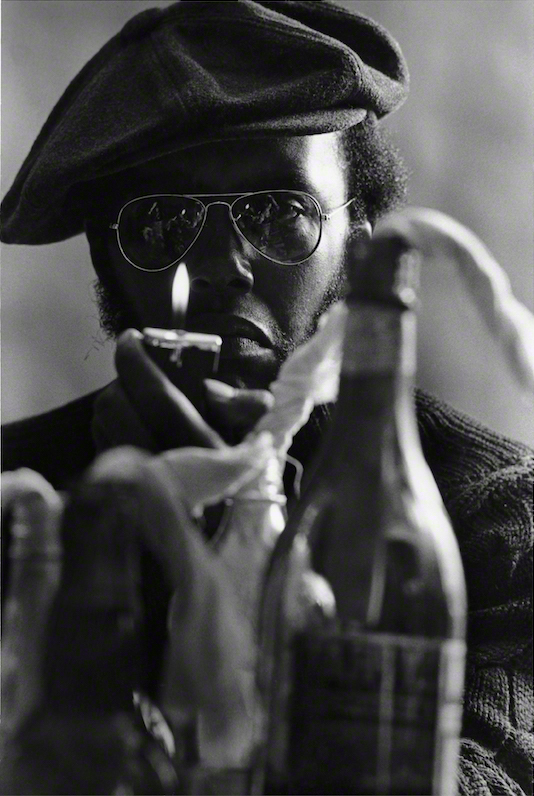 We are therefore proud to announce the featuring of photographs by Hugh Bell as part of "Art of Jazz: Form/Performance/Notes" exhibition to be held at The Ethelbert Cooper Gallery of African & African American Art. Held in collaboration with the Harvard Art Museums, the exhibition explores the interaction between jazz music and the visual arts. “Art of Jazz” consists of three exhibits at two venues. “Form,” a collection of work drawn from the Harvard Art Museum’s permanent collection, is presented in the Teaching Galleries at the Harvard Art Museums. “Performance” is a collection of books, album covers, photos and other ephemera in the Cooper Gallery’s lobby and front galleries. Scholars Suzanne Blier and David Bindman curated both of these installations. “Performance” at the Cooper includes modernist painter Beauford Delaney; photographers Hugh Bell and Carl Van Vechten; along with a sound installation accompanying the series of artist created album cover installations." Dominguin, as well as Lauren Bacall and Ernest Hemingway. Bell’s friendship with Leacock continued to deepen, and over the ensuing decades, he photographed the Leacock family in an extended series of candid portraits at their family home. In 1952, Bell shot his first of many legendary photographs of jazz greats,“Hot Jazz.” In 1955, Edward Steichen selected “Hot Jazz” for the groundbreaking exhibition “The Family of Man” at The Museum of Modern Art. Over 2 million photos were submitted and only 503 were selected. The exhibit showcased work from 273 photographers including Dorothea Lange, Edward Weston and Irving Penn. This was the first instance of Hugh Bell’s photographic work being shown alongside these towering figures of modern photography. Thomas Allen Harris’s film on the history of Black photographers, THROUGH A LENS DARKLY to be shown on PBS as part of their Independent Lens series. The film features the late photographer Hugh Bell, which GME is working with the estate of to archive his collection and promote his legacy. On PBS, Monday, February 16th at 10pm.